We work with individuals, couples, and students to plan their taxes in order that they pay the least taxes legally required or receive the most refund possible. 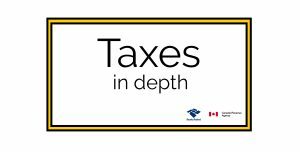 We prepare your T1 Personal Tax Return and e-file it with Canada Revenue Agency – CRA. By e-filing your return, you will be able to receive your refund fast (usually in less than 2 weeks). In the event that CRA audits your return, we will be available to represent you and act as your representative during the entire process. We are specialized in new immigrants tax returns, mainly Brazilians, either permanent residents or students with work-permit visa.